At a reception at the vice president's residence for Hispanic Heritage Month, Vice President Biden took aim at Donald Trump's hard line on undocumented immigrants. "The Trump and that stuff you are hearing on the other team, and not just, this isn't about Democrat/Republican. It's about a sick message," Biden said. "This message has been tired on America many times before. We always, always, always, always, always overcome it." "I don't want anybody to be down right now about what's going on in the Republican Party. I'm being deadly earnest about this," Biden said. "I want you to remember, notwithstanding the fact that there's one guy absolutely denigrating an entire group of people. Appealing to the baser side of human nature. Working on this notion of xenophobia in a way that hasn't occurred in a long time. Since the Know-Nothing party back at the end of the nineteenth century." The Know-Nothings were a prominent political party in parts of the midwest who opposed immigrants and Catholics. The vice president sought to reassure his Latino audience that the American people don't agree with Trump. "Folks, the American people are with us. I know it doesn't feel that way. But I'm telling you, I'm telling you, the American people agree with us. We're gonna take a while to overcome." 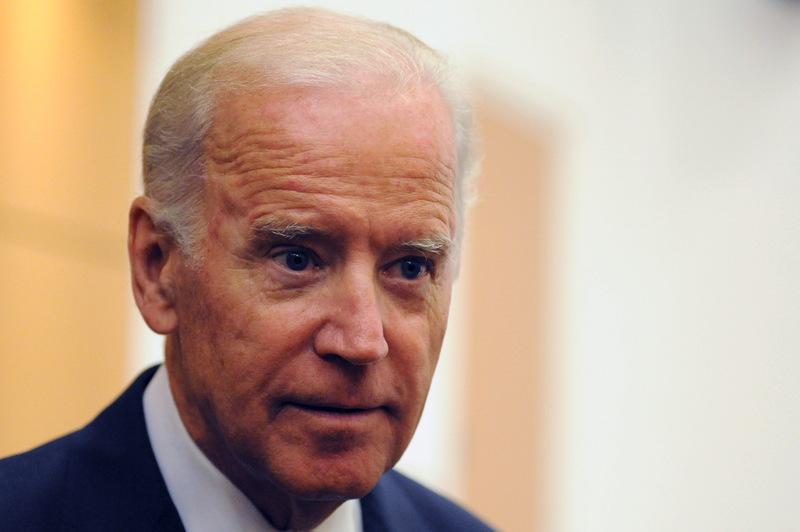 Is Vice President Joe Biden ready to run? He also told them that as he walked out of his residence, Trump was starting to speak tonight, referring to the billionaire Republican candidate's speech Tuesday evening on the S.S. Iowa in Southern California. Biden said of Trump's views: "Folks, this will not prevail. This will not prevail." At the end there were some cries from the audience of "run, Joe, run" and Biden shook his head, saying, "No, no," and stepped away.